Tower Bridge is one of the most famous bridges in the world. Designed by Sir Horace Jones (1819–1887) and engineer Sir John Wolfe Barry (1836–1918) over a period of eight years, it was the largest and most advanced bascule bridge ever completed when it opened in 1894, requiring 11,000 tons of steel and involving more than 400 construction workers. This impressive feat of engineering helped sustain the growing commercial activity at the docks and warehouses in East London, and the sudden influx of daily commuters brought in from the newly built London Bridge station. Still in full use today, the bridge is lifted an average of 850 times a year. This Victorian masterpiece remains a highly important crossing on the River Thames, as well as being one of London’s defining landmarks. This compelling album of photographs by Harry Cory Wright allows us to experience the awe-inspiring structure of Tower Bridge in exquisite detail, from the intricate machinery and original mechanisms inside the control rooms and secret corridors, to the great cavernous space within the bascule chamber. 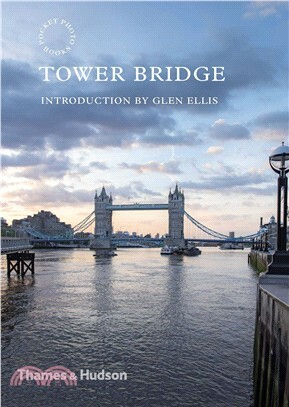 It includes an interview with Senior Technical Officer Glen Ellis, who shares his own daily experience of lifting the bridge, evoking an incredibly vivid sense of ‘being there’.